Ready-to-use liquid watercolor is not only more vibrant than solid watercolors, but more versatile. 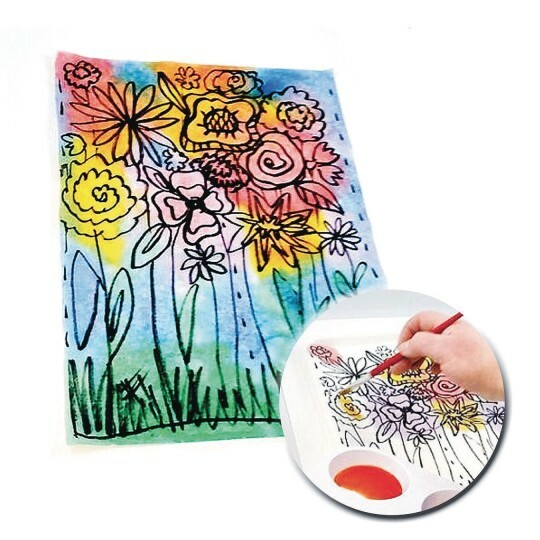 Use as a dye for clay, glue, glass stain, shaving cream and more. Apply using brushes, eyedroppers or spray bottles. Water-based and non-toxic. 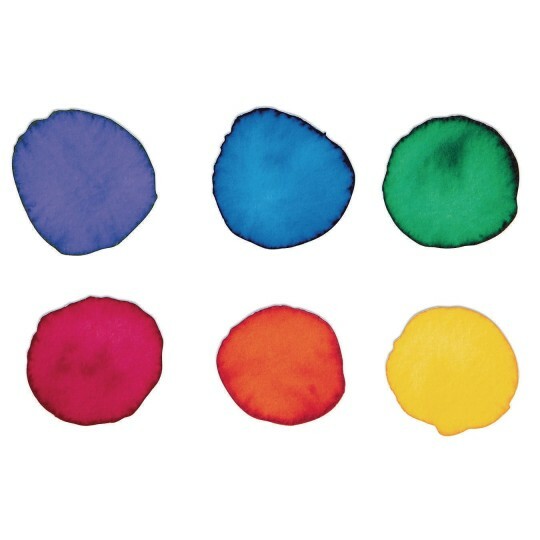 Apply to wet paper media or spritz with water and watch colors spread and blend beautifully. Set of six 8-oz. bottles: Blue, Green, Orange, Red, Violet, and Yellow. Protect skin, clothing and work surfaces as this concentrate color will stain. Can be diluted with water to create lighter shades of color. These big bottles are great for lager group. 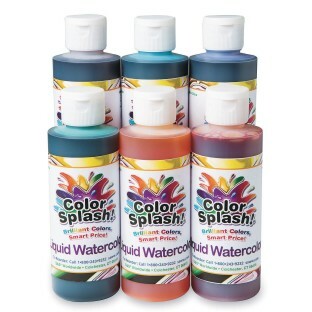 New to me - liquid water color paint - so cool! We used this for our Terrific Tuesdays craft through our Recreation program this summer. Our paper plate flowers turned out great!! We purchased condiment cups with snap on lids to store the colors in and it made it so easy to use with no waste.There is no comparison with the old-fashioned paint chips - vibrant colors and it lasts so much long. No messy paint sets!